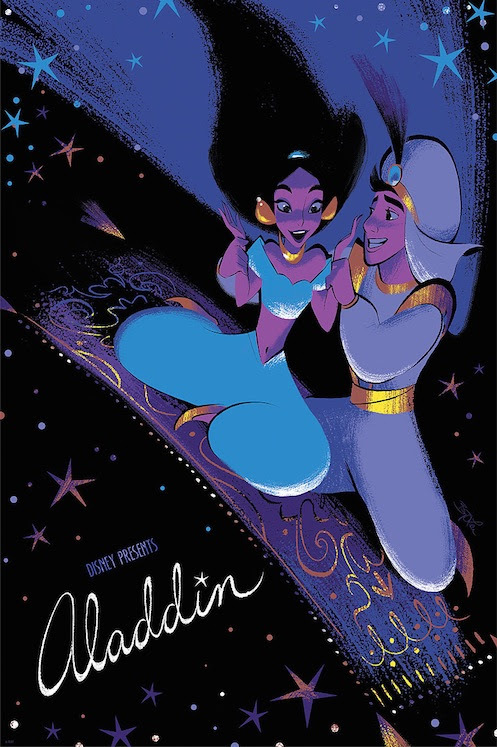 After debuting at the “An Art Tribute to the Disney Films of Ron Clements & John Musker” group art show, Cyclops Print Works has released online this beautiful officially licensed Aladdin screen print by Brittney Lee! This wonderful Disney serigraph measures 20”x30”, features 9 colors, a varnish finish and comes signed and numbered by the artist. Limited to just 200 pieces, fans can purchase Lee’s Aladdin print at the Cyclops Print Works online store for $65.